In this article we talk about how to program VW 3+ Gen system immobilizer system.The typical vehicle equipped with VW 3+ gen immobilizer system include:VW Sagitar,Porsche Cayenne,Skoda Octavia,old Audi A8. Note:Try below procedure at you own risk,and if you want to know more VW Immobilizer systeme programming,read below article. #1 Add new key:Need read out pin code. 1. Use key programmer read out pin code( In some vehicle model it need to remove ECU and read out the pin code from ECU. 2. After reading out the immobilizer pin code,use VVDI or VAS 5053 to program key.Enter the key program,select immobilzer system and enter the “pin code”.Usually the pin code is a 5 digits number,if it less than 5 digit,just enter the “0” at positon front of pin code you read out before. 3. Enter how many key you want to add,and the follow the software to program each key. 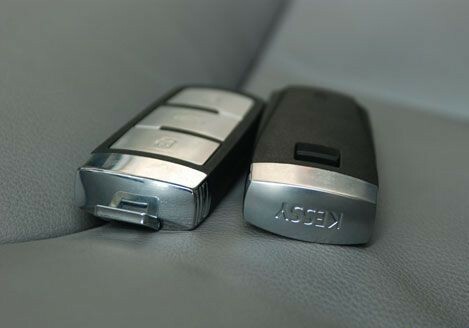 Note:Most vehice models equipped with 3+ gen immobilizer system adapt VW special key chip,except Skoda Octavia need specialist Skoda Octavia key chip. 1. Read out pin code. 3. Select channel 01,and enter the key number you want to program,click test and then selcet save.Finally,it will show current service station,and remind you to save or no,click “Yes”,then program key in order.